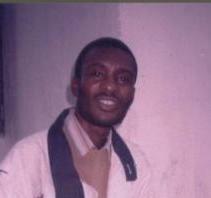 Jacob Kobina Ayiah Mensah has spent most of his adult life at Winneba. He was for a short time an assistant editor of a daily newspaper, and has been a long time mathematics and science teacher. He has practised poetry and art his entire life. His poetry has been accepted and appeared in international literary magazines and journals in Australia, UK, Scotland, Japan, and other countries. He is currently the editor of a weekly newspaper, Focusview, which has a poetry page to promote traditional, modern, and contemporary poetry writing, reading and performing in Ghana. I have been writing poetry for the past 19 years. My favorite poets are John Donne, Robert Browning, William Carlos Williams, e.e. cummings, Frank O'Hara, Joseph Brodsky, Dennis Brutus, Taban Lo Liyong, Syl Cheney-Coker... and recently, Issa, and Ban'ya Natsuishi. All of them have informed and inspired my work through their individualism and bringing poetry to the most art form. To perform with Native Americans, Australian Aborigines, and Romas. 4. Growing up, what was your vision of Zimbabwe? Zimbabwe was and is still a beautiful country filled with vibrant writers who hold the tension, hold the energy. 5. What is your vision of Zimbabwe now? Has it changed from your vision growing up? If so, how?